Nearly 2000 children and the families that care for them attended the 19th Annual Holiday Party for children in foster and adoptive care on December 3rd, 2017. 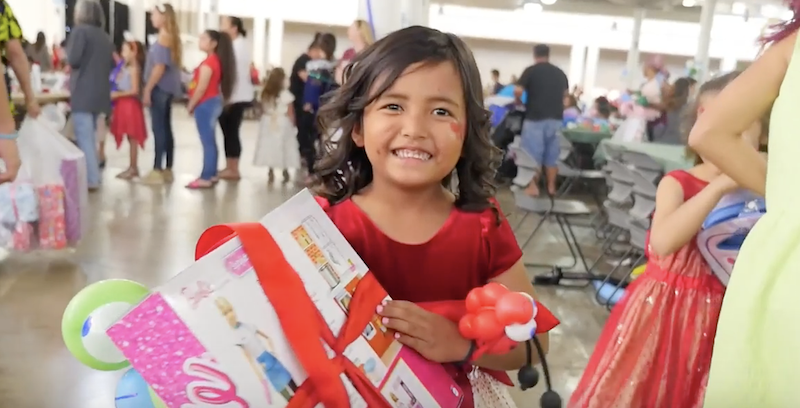 Hosted by Family Programs Hawaii, the Annual Holiday Party is made possible through partnerships with local businesses, government and nonprofit organizations, the community, and over 800 volunteers. The holidays can be a difficult time for children in foster care being separated from family, and this annual event ensures that happy childhood memories of the holidays are created through a day of fun with other children just like them. Siblings are reunited, family portraits with Santa are taken, a holiday meal is provided, many activities for family bonding, gifts for every child from Santa, and nonstop entertainment and fun for everyone! We also take the opportunity to thank the resource caregivers (foster parents) for their dedication and love in welcoming children in foster care into their homes. We ensure that all the children receive a gift and families get a holiday meal to lessen the financial burden on our caregivers. It take a village to raise children, so we would like to thank everyone involved from caregivers to donors to volunteers. To find out how you can be involved, please contact us!